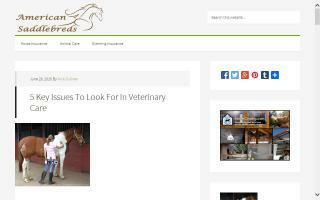 United Kingdom American Saddlebred Organizations Directory - O Horse! UK's premier resource for the American Saddlebred. Unique five-gaited display team. American Saddlebred Charter Club in the UK - membership, sales, stallions, shows and clinics, including the European Saddlebred Championships. Many events open to non-members. Approved to issue EU passports to any equine.